Pest Control Essex are qualified to remove all Wasp Nests throughout Waltham Abbey and we also use the latest chemicals and equipment and we will talk you through the whole process and advise how to deter Wasps from your property in the future. Wasp Nest Removal Waltham Abbey at Pest Control Essex offers you a No 1 Service at prices you can afford! 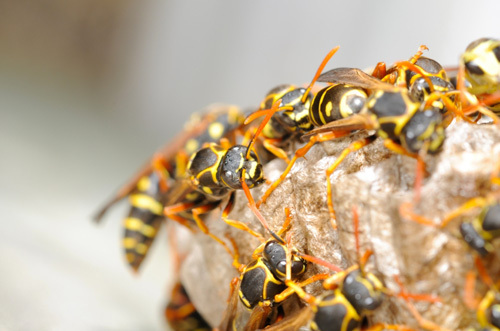 If Wasps Feel Threatened they will sting so for your safety Please call Wasp Nest removal Waltham Abbey On: 01245 327 274 for the same day response to your home or business. Wasps will continue to build their nest throughout the summer months and they can reach from 2,000 to 6,000 and more wasps in a single nest. At Wasp Nest Removal Waltham Abbey we use the latest methods to ensure all adult insects and their larva are destroyed. We can destroy wasp nests for all domestic properties, business premises and all other outside work places.